Burglars have the ability to pick locks, inhibit signals, and cut powerlines, among many other techniques to take what isn’t theirs. These techniques have one common tool that burglars need and can’t function without – their vision. 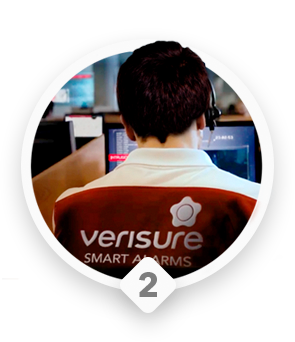 At Verisure, we strive to offer our customers the highest levels of protection and create as many obstacles as possible to burglars. Thus, we have designed the new ZeroVision Alarm to impair the burglar’s vision before they have a chance to identify what they plan to steal. This alarm has been specifically designed to allow us to act in situ after a verified intrusion and prevent a burglary by creating a zero-visibility situation through the creation of a dense, bothersome fog. The ZeroVision alarm is only activated remotely after we verify there is an intrusion by professionals from our NSI certified Alarm Receiving Centre, eliminating the risk of false alarms. Once the alarm is activated, the device expels a dense, bothersome fog that will generate a zero-visibility situation in only a few seconds, impairing the burglar’s vision and protecting the premises until the police or guard arrives at the premises. Time is of the essence to successfully prevent a burglary. With ZeroVision, in only a few seconds a zero-visibility situation will be generated through a dense, bothersome fog that will impair the burglar’s vision and force them to exit the premises. Simultaneously, the police and the customer are alerted from the Alarm Receiving Centre and a security guard is dispatched. The property will be protected until the police arrives. No burglar wants to break into a property where they cannot successfully steal from. With the ZeroVision deterrent plaque in the façade of your property, we are making sure all burglars know your property is protected by the ZeroVision alarm that will create a zero-visibility situation once triggered. The knowledge that a property is protected by ZeroVision will act as a strong deterring factor, making your property virtually invisible to the burglars. 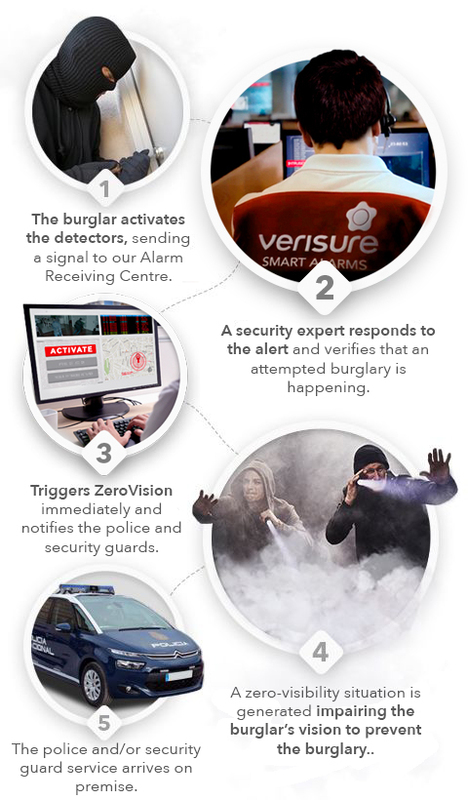 At Verisure, we have been fighting burglaries for 25 years and are continuously focused on innovating to ensure we stay one step ahead of burglars. With ZeroVision, we can now act in your property to impair a burglar’s vision and prevent a burglary. We are changing the rules of the game by being proactive, and we are placing ourselves - once again - one step ahead of burglars. If they can’t see, they can’t steal. The ZeroVision Alarm is a system capable of detecting intruders and sending a signal to our Alarm Receiving Centre, where we respond to every incoming signal on average within 29 seconds. Our security expert will verify if there is a real intrusion and follow the most adequate safety protocol. 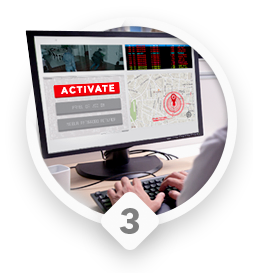 Once the intrusion is verified, the expert will activate the ZeroVision alarm to generate a zero-visibility situation, and simultaneously contact the police and guard service to prevent the burglary. The ZeroVision alarm is formed by small devices that can be easily installed, with no wiring or works needed, making use of an exclusive technology that is unique in the UK. To prevent a burglary, ZeroVision will fill with a dense, bothersome fog the protected room, impairing the burglar’s vision until the police or security guard arrives at the property. Warranty: Maintenance support included. Lifetime-guarantee. Certification: The ZeroVision Alarm is Grade 2 certified and is accredited with the highest standard certifications in the industry. Your ZeroVision Alarm must always be ready to be triggered in order to guarantee your Protection in every moment. Therefore, you will have free service and maintenance from Verisure’s technical support team for life. The ZeroVision Alarm has been accredited with the highest certifications in the industry and uses the most advanced security technology. To guarantee its efficacy, Verisure offers free repair, replenishments after use, and the most complete technical support. The burglar activates the detectors, sending a signal to our Alarm Receiving Centre. A security expert responds to the alert and verifies that an attempted burglary is happening. Triggers ZeroVision immediately and notifies the police and security guards. A zero-visibility situation is generated impairing the burglar’s vision to prevent the burglary.. The police and/or security guard service arrives on premise. Installing a ZeroVision Alarm for home or business means owning a security system connected 24/7 to our Alarm Receiving Centre. It also means having a powerful deterrent to avoid potential intrusions from occurring. No burglar wants to break into a property where they cannot steal. Thus, the ZeroVision Alarm offers maximum intruder deterrence with its deterrent plaques that will be placed on the outside of your home or business.